This hiking adventure takes you accros the mountains that surround the Kvarner bay in the northern Adriatic. First we start with the Učka mountain. Učka mountain means mountain of the wolwes, taking the name of the animals once numerous in this area. After Učka we move to another mountain that got its name from an animal, its Risnjak. The name arrive from the lynx, in croatian ris, so "Risnjak" means a place where lynxes live. 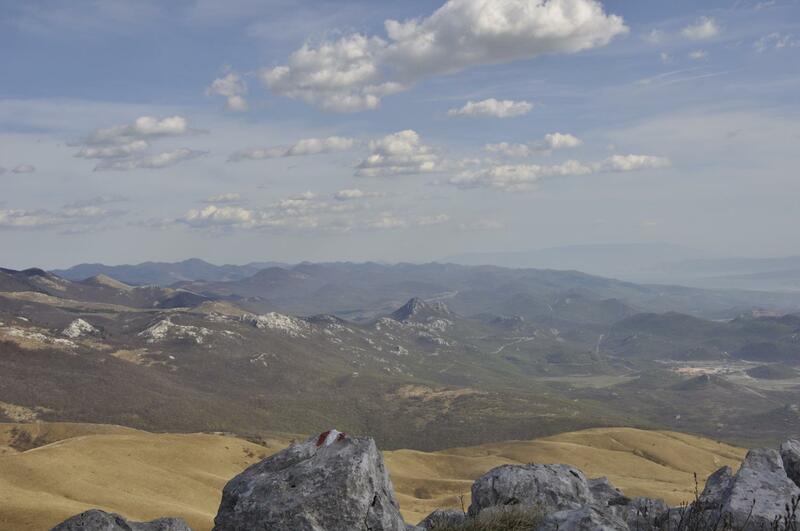 From Risnjak the tour takes us to the youngest national park in Croatia - "Northern Velebit", with numerous endemic species and specific geomorphological phenonona. From Northern Velebit we will go further south, to the National Park "Paklenica", its canyons and paths are ideal for hikking. 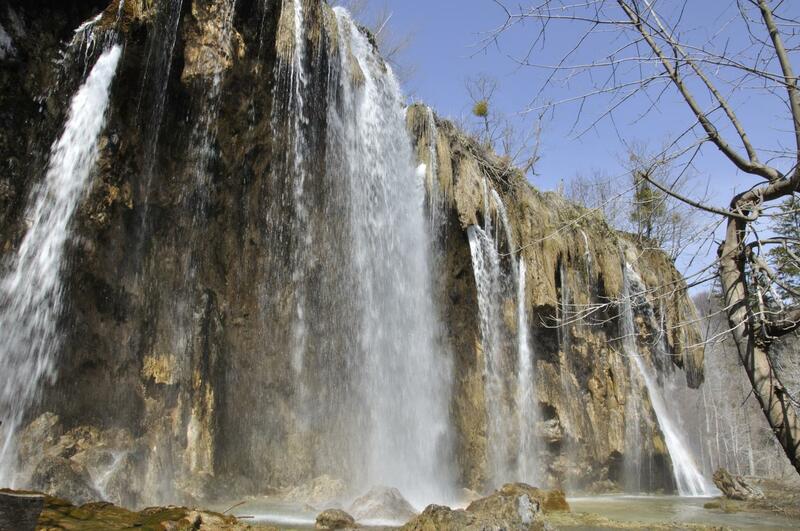 After Paklenica the adventure continues to the oldest croatian National Park "Plitvice lakes", one of the most beautiful natural phenomenon in the world. The last day of this tour is rederved for historical sightseeing on the croatian capital of Zagreb, its medieval and modern city center. Arrival in Opatija, meeting with a guide and program presentation. Dinner and overnight. Due to its outstanding natural characteristics, Učka mountain and a part of Ćićarija massif, with a total area of 146 sq meters, was proclaimed a nature reserve park in 1999. The length of this mountain range is 20 kilometres, and between 4 – 9 kilometres in width. The eastern slopes of Učka are mostly covered by forest and descend sharply towards the sea. The western side along the main ridge, with its height approximately 300 metres below the peak, is unusually steep, after which the ground unfolds into raised terrace of the continental Istria. Breakfast, dinner and overnight in a 3* hotel in Lovran. 3. DAY - NATIONAL PARK "RISNJAK"
After breakfast we take 40 minutes transfer to the mountain massif Risnjak that was proclaimed a national park in 1953. It offers walking tours through untouched nature, along marked pathways, away from civilisation where you have the opportunity for a pleasant and relaxing holiday. A great number of unique geographical, geological, biological and climatic phenomena are found in a comparatively small, easily accessible area. 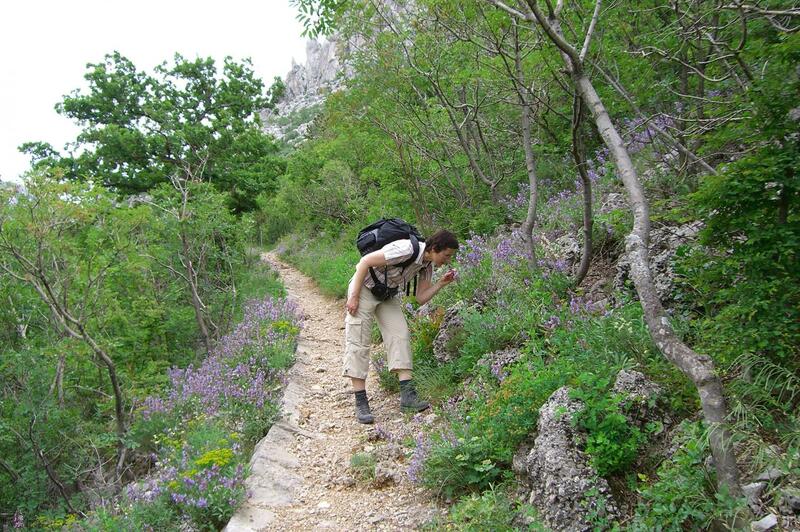 We should point out great floral variety across the multiple ecotones, fifty-one bird species, many mammals, a highly educational pathway Leska and Veliki Risnjak peak (1528 m) as one of the most beautiful Croatian gazebos. 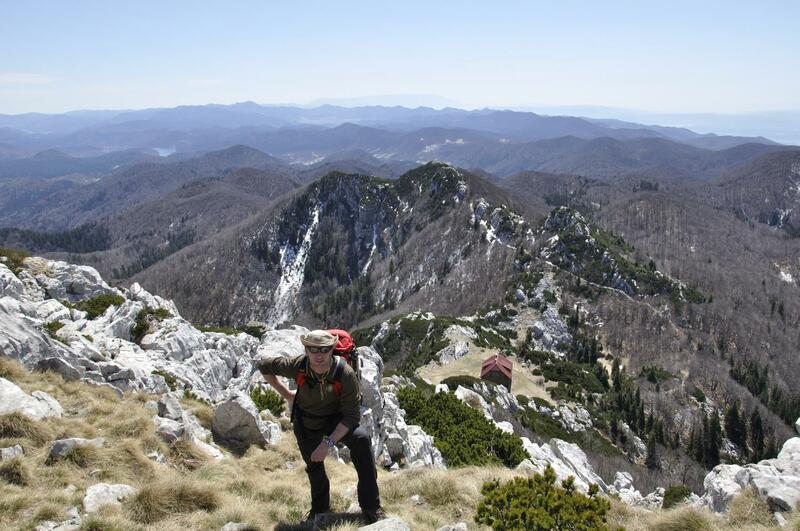 After 1,5 hour hike, a transfer is organized to the next destination - "Northern Velebit" national park. Dinner and overnight in a B&B in a small village beneath the Velebit mountain. 4. 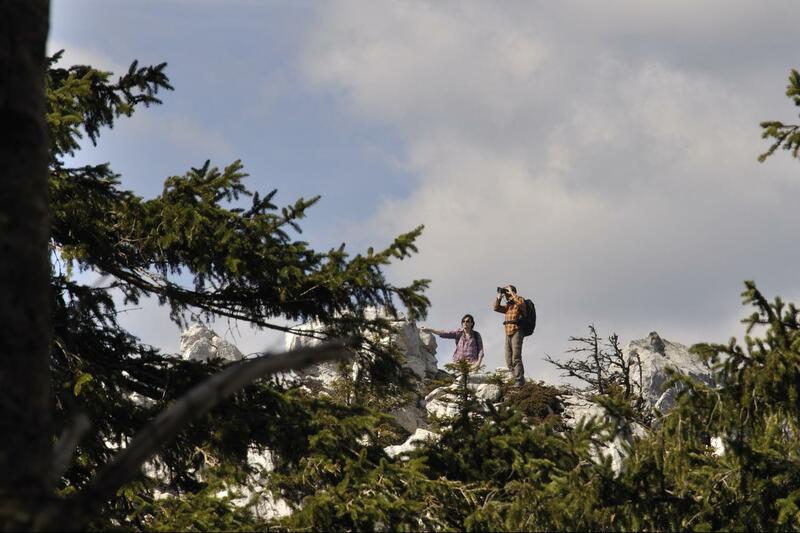 DAY - NATIONAL PARK "NORTH VELEBIT"
After breakfast we hike the most famous and widely known Premužić's trail, named after its constructor, the BSc forestry Ante Premužić who built it in the late 1933. This park covers the surface of 109 km2, with Hajdučki & Rožanski Ledges Strict Reserve, famous for its geomorphological phenomena - the pits. Until now, there are more than 150 pits discovered, out of which the most famous is Luke's pit, discovered in 1992. Inside the reserve there is a widely known Velebit Botany Garden, founded by the pharmacology professor Fran Kušan in 1967. The path runs through the most interesting parts of the park. After the hike we take 1,5 hour transfer to Starigrad Paklenica. Dinner and overnight in a 3* hotel. 5. DAY - NATIONAL PARK "PAKLENICA"
Breakfast, then hiking through Mala Paklenica Canyon, the dry riverbed, toward Njive Lekine and Grabove doline (the old villages of Jurline and Škiljići) up to Velika Paklenica. 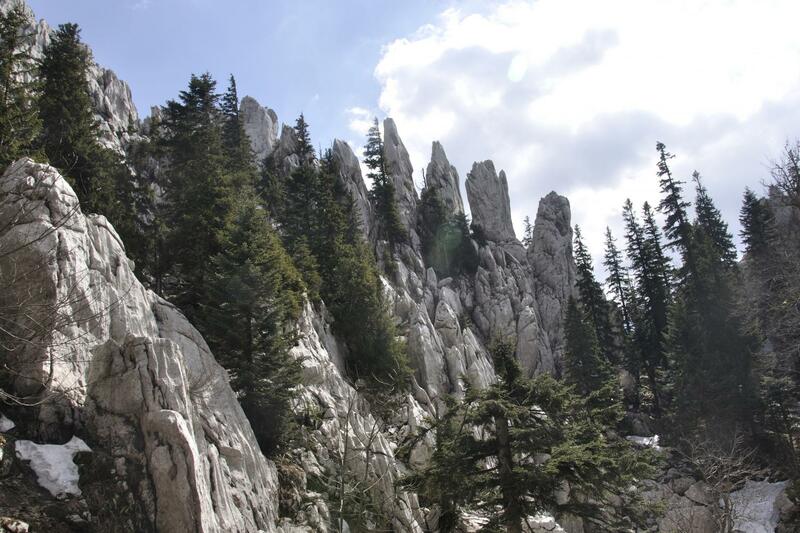 Paklenica is a national park on the southern side of Velebit, the largest mountain massif of Croatia. 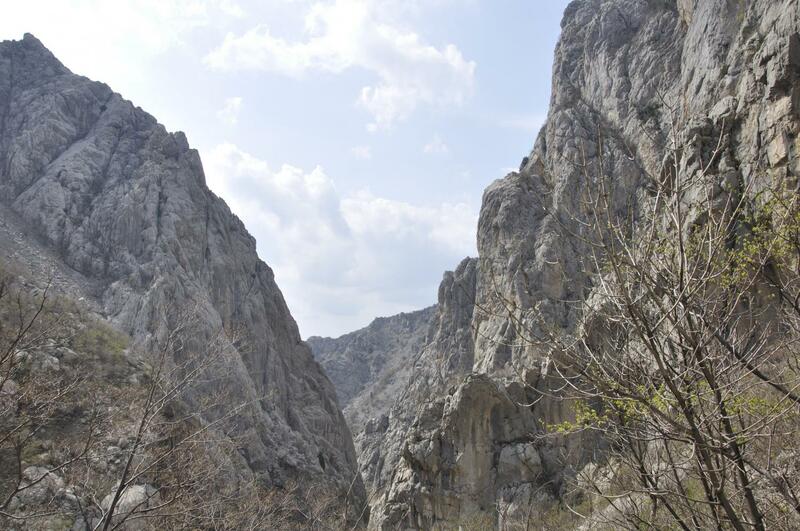 Two impressive canyons of Velika and Mala Paklenica, vertically cut into the mountain from the sea to the peaks are the main attraction of the park. Dinner and overnight in mountain house "Paklenica". 6. 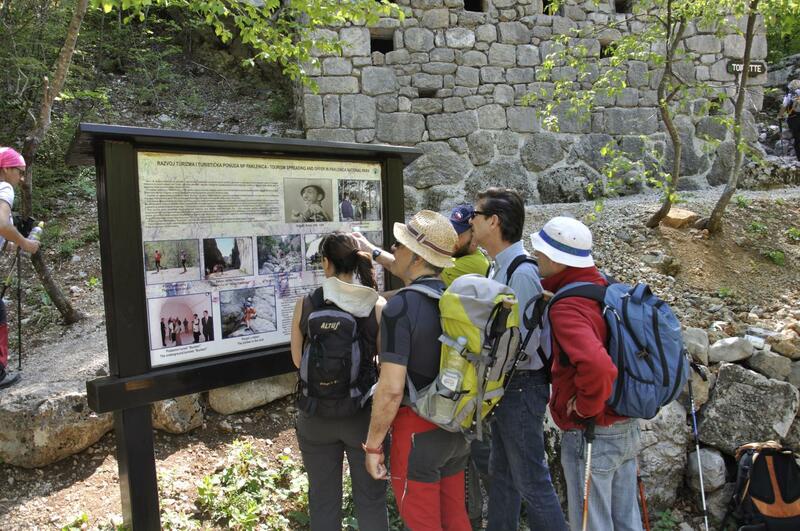 DAY - NATIONAL PARK "PAKLENICA"
After breakfast we will descent towards Starigrad. There are numerous unusual carsic forms, including many caves and extremely rich and varied flora and fauna. One of the main sights is the monumental steep rock Anića kuk, one of the most popular destination among Croatian alpinists. In the afternoon there's free time to relax on the beach. Dinner and overnight in a 3* hotel in Starigrad. 7. DAY - NATIONAL PARK "PLITVICE LAKES"
Breakfast, then 1,5 hour transfer to the next destination - "Plitvice lakes" national park. This national park is considered one of the most beautiful natural phenomen in the world. 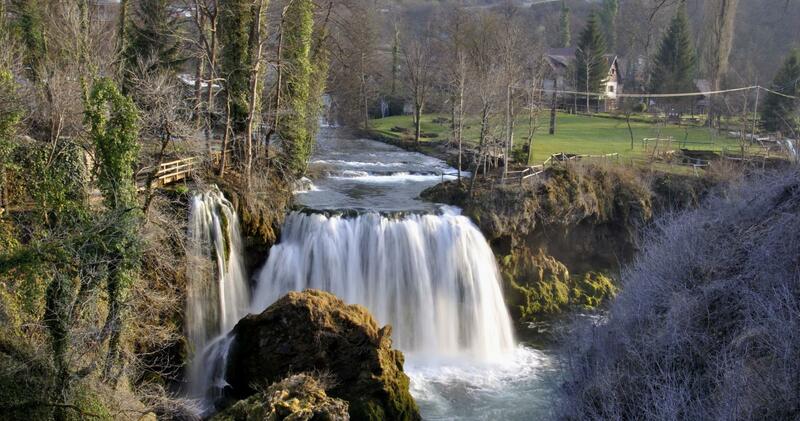 Sixteen lakes on the Korana river, interconnected by waterfalls, cascade through the picturesque surrounding. Plitvice Lakes were declared a national park in 1949. A guided tour of the park lasts about 5 hours including panoramic train, boat and a hiking tour. Dinner and overnight in a 3* hotel in the Plitvice area. After breakfast you are transfered to Zagreb. On the way we will stop in a water mill village Rastoke, where green water of the Slunjčica river rushes steeply into Korana over a number of travertine barriers and waterfalls. 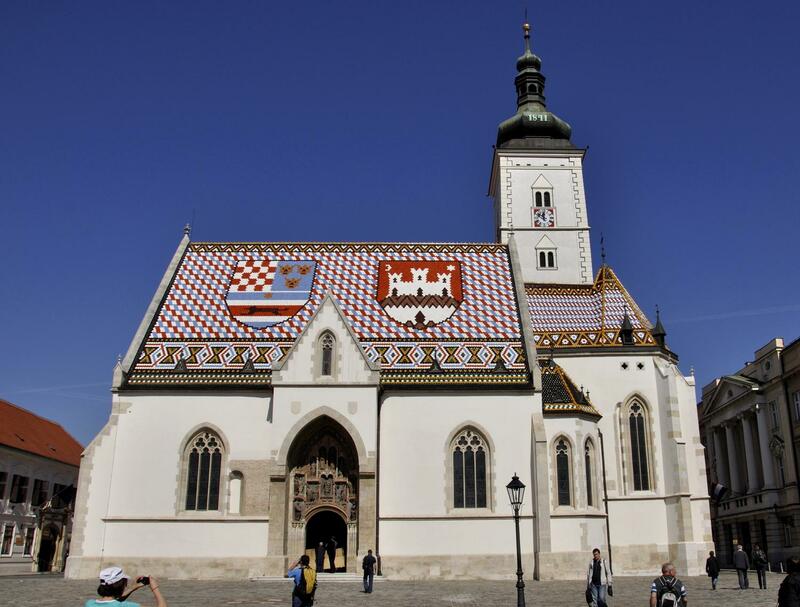 We spend the afternoon in Zagreb, capital of Croatia, visiting the fortified Upper Town, the city's historical center: St. Mark's church with its multi-colored roof, the Cathedral, the Croatian National Theater and the University. Celebrating dinner will be organized in a local tavern. Overnight in a 4* hotel in Zagreb. Single room supplement is available under options. Minimum of 2 people is required for guaranteed departure. On all tours, whether guided or self-guided, your luggage is transferred to your following night's accommodation. Luggage transfer is mostly carried out by Fiore Tours, by sometimes we use also the accommodation provider or a local taxi service. Bags should be ready for collection by 09:30am and will be at your next overnight stop by 3pm. What equipment/clothing do I need to bring with me? Can I organize a trip with just my friends or family? Yes, just let us know your chosen trip and we can organize a private departure. Prices may vary from those given on the website, depending on the size of the group and date of departure. What is the accommodation going to be like? Accommodation is clean and simple. You'll mainly stay in small, locally-run, 2-3 star hotels and guesthouses, which reflect the character of the area. Breakfasts are generally buffets that take your active program into consideration with a variety of low-fat and high-nutrition choices. Lunch is generally on your own, although some groups tours decide to pool funds on some days and enjoy picnics en route. Dinners are usually included with guided tours, and dinner packages ("half pension") are a frequent option with self-guided tours. Expect either a fixed menu or a few choices. If you have any allergies, restrictions or strong preferences, please let us know as far in advance as possible. We suggest you book as soon as your plans are finalised as Istria is extremely popular over the summer months. Traditionally April/May/June and September/October have always been the most popular time of year because the weather is better. July and August is better to avoid as it can be too hot for walking. When do I get my tour documents? You receive tour documents, including your hotel list and information on how to get to your starting town and hotel, tour operator contacts, packing tips, and other helpful information, about 2-3 weeks before your tour. You get packets with maps, route instructions, and sightseeing information at your start hotel. What is the size of the group on a guided tour? We usually take between four and twelve guests on each guided tour. If we have a larger group, we'll have additional leaders so that we can split up if necessary. With this size of group, we can cater for individual needs and still ensure the whole party is well looked after. How knowledgeable and experienced is the Group Leader? The local guides undergo extensive training in all aspects of travel in the region. They are full-time professionals and are selected for their empathy and knowledge of the area you are visiting. Your information will not not be passed onto third parties. Our tour with Fiore was excellent. Our guide Luka was very knowledgable about the fauna, flora and history of the areas we visitied. Hotels and food were very good. The walks were challenging for us, but we were able to go at our pace and see beautiful areas. One of the best vacations we have had. Nadležno tijelo zaduženo za nadzor: Ministarstvo turizma – Samostalni sektor turističke inspekcije, Trg Republike Hrvatske 8/1, 10000 Zagreb. Radno vrijeme/working hours: Ponedjeljak-Petak (Monday-Friday) od (from) 08:00 - 16:00, subota, nedjelja i praznikom zatvoreno (Saturdays, Sundays and holidays closed).